After last week’s surprise announcement of a second Shadow of the Colossus remake, Sony has spoken with Famitsu to explain what makes this game different. Aside from being available on the PS4 in 4k, this new version is set apart from the PS3 re-release by virtue of ambition. This sets the new remake apart from the last. While developer Bluepoint’s previous Shadow PS3 remake sported an upscaled resolution and higher frame rate than the original, the game world and everything in it were the same as the PS2 release. The effect was similar to playing the original 2005 game through a clearer lens. 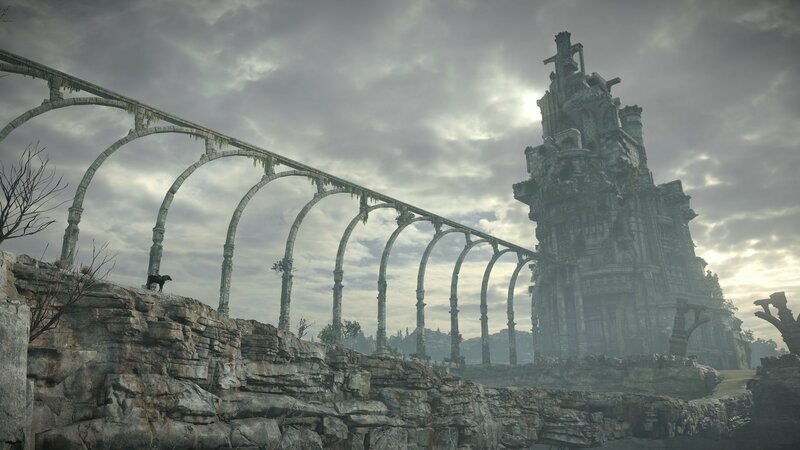 This time around, Bluepoint recreated the game’s assets and thus created a modern replica of the original Shadow of the Colossus, with all the visual detail and complexity seen in a AAA PS4 game. Additionally, the controls have been redesigned to keep up with the times. This update will be optional in-game, so players will have the ability to experience director Fumito Ueda’s original ergonomic vision. The remake is ambitious, but reserved in its scope. Contrary to rumors, the eight Colossi that were cut from the original release will not appear in this game. In fact, as indicated by Yoshida, there will be no new content added at all. Shadow of the Colossus is a classic of the medium, and as such, perhaps this isn’t a remake or a re-release, but more of a restoration. Shadow of the Colossus is set to release in early 2018.